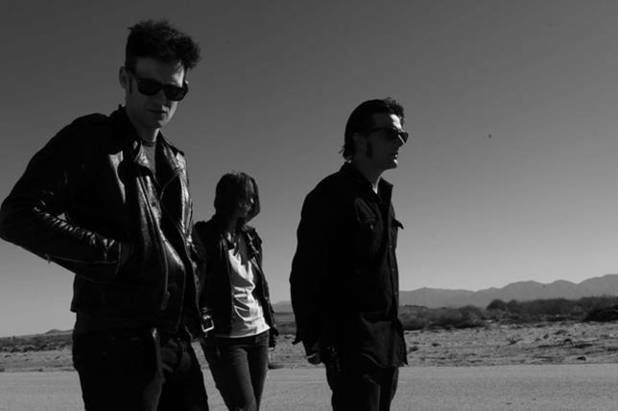 Their new album’s been out for a bit, but Black Rebel Motorcycle Club have just now released a video for their first single off of it, “Let the Day Begin.” Personally, I think this music video is no bueno. The whole “hey, let’s show synched up b-roll footage of what the singer is singing about and call it a video” thing is pretty tacky nowadays. Maybe it was cool back in the day, but considering that any kid with iMovie and no social life can do it, it’s not so much anymore. Since we’re here, I might as well talk about the new record, Specter at the Feast. It’s divided fans a lot, as I’ve seen equal amounts of people who like it and of people who don’t. Personally, I think it’s pretty good. It’s definitely not in the same vein as all the others, but considering that it’s a transition phase for the band (and that’s putting it lightly because the band pretty much lost one of its essential members when Been’s father died), it has to be viewed as such. With that said, there are days when I like the album and there are some days when not so much. However, after more deliberation, I think for the most part that its pretty damn good. Does that make sense? Probably not. Look, just buy the fucker and come out to their show May 1st at the Cannery Ballroom. If you need convincing, check out my favorite tracks from the new album below.